Now – I personally never had great results from hyaluronic acid taken by mouth. But the one inside Baxyl seems to be better – according to them. And that’s what convinced me to give it a try. So does this supplement really work? Or it’s no better than regular hyaluronic acid? Note: This review is based on my experience with this supplement, so it doesn’t have a lot of general info. I’m not trying to praise/ criticize this product or its company, I am simply telling my opinion about it. Where I Bought It From: Amazon, but you can find it in most retailers. Designed For: Joint pain in general. 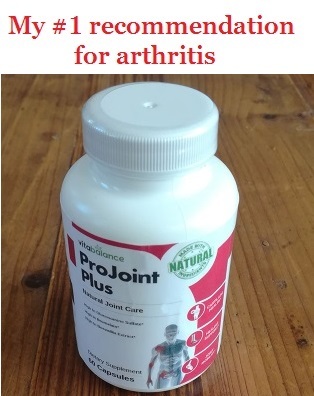 The label doesn’t mention if it’s designed for arthritis, cartilage damage or inflammation. 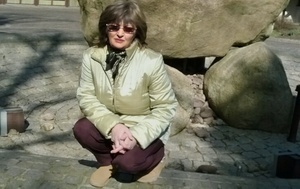 As for arthritis and cartilage problems – I consider it too weak on the long term. At least compared to other products. So at $40 per 36 days supply, I don’t think it’s the best thing you can get. Other than that – it’s one of the few joint products I tried that contains just 1 ingredient. Now – that’s what they claim on paper. But most of the times, the reality is totally different. So let’s get into more details about Baxyl. As I said, Baxyl doesn’t contain tons of different substances inside. There’s only one active ingredient and several inactive substances (that have no real effect). 1. MHB3 Hyaluronan (30 mg) – this is actually a brand form of hyaluronic acid, which seems to be specially designed for oral administration. Now – I’ve never seen this exact ingredient before, but I’m very familiar with hyaluronic acid. Now – I didn’t find many studies on MHB3 Hyaluronan, so I can’t tell you a lot. But from what I know about regular hyaluronic acid, I believe that 30 mg per day is a too low dose. At least for a decent effect. #1. Pretty Low Doses – in my opinion, 30 mg of hyaluronic acid isn’t going to do much. Besides, I never had good results with hyaluronic acid pills. Most supplements contain under 20 mg, so this explains. Now – based on my experience, hyaluronic acid doesn’t help inflammation too much. But it seems that the MHB3 form is different – at least that’s what they claim. Overall: Baxyl’s ingredients have low doses, in my opinion. But the fact that it uses a better form of hyaluronic acid is definitely a plus. Whether it really works or not, let me tell you my experience with it. Normally – hyaluronic acid pills wouldn’t help me a lot. But as I had both forms of arthritis, I was curious to see what the special hyaluronan from Baxyl could do for me. Was it any better than regular hyaluronic acid – or it was about the same? To my surprise, Baxyl wasn’t a useless product. Now – most OA supplements that I tried would relieve my knee pain. That’s because it was never very severe, so most products could help. But not all of them could decrease my stiffness as well. And regarding my RA and inflammatory pain – I could feel a small improvement, but it was far from other supplements. So here’s what I could say about this supplement – based exclusively on what it did for me. #1. Really Helps Stiffness – If there’s something I would recommend this supplement for, it’s surely stiffness. Now – Baxyl isn’t the best supplement ever when it comes to this. But compared to other products with hyaluronic acid, I could really see a change. So even though it claims that MHB3 Hyaluronan can decrease inflammation – in my case, it didn’t. It worked just about the same as hyaluronic acid, from this point of view. Now – most supplements need a similar period to start working. So don’t give up a product if you don’t see a change in a week. In my case, some worked even faster – but it depends of the product itself and of the person taking it. So with Baxyl, you will probably need several weeks before you see an improvement. The liquid form of Baxyl is a great advantage over other products – if you ask me. The liquid isn’t even oily, so it could make you nauseous. It has a very light texture – so you won’t have any trouble swallowing it. From this point of view, it’s extremely easy to take – compared to most products on the market. Now – it is indeed a bit expensive for this kind of problems (you could probably find something under $20). But judging only after its effect, I think it would be a good choice in this case. But if your joint issue is something minor and you don’t want to swallow pills – Baxyl could be a potent option. Now – I do understand that Baxyl’s main ingredient is a brand one. So it doesn’t contain the typical hyaluronic acid. And usually – this kind of products tend to cost more than the ones with the regular form of ingredient. But even so, $40 per bottle seems a bit too much for me – considering how it worked. It’s true that I would recommend it for a minor joint problem – but that’s just on paper. Because in reality, you could find something much cheaper that could work just as well. So when it comes to price, I wouldn’t recommend Baxyl. It’s just too expensive, compared to other products on the market. I’m saying this mostly from my experience with it. As I said – it worked great for my morning stiffness. But that’s not the biggest problem in arthritis – it’s the pain, inflammation and loss of flexibility. Now – if you have rheumatoid arthritis, I would surely not recommend Baxyl. However – I wouldn’t pay $40 for a product that I would need to associate with something else. I mean, Baxyl alone isn’t going to rebuild your cartilages. That’s what glucosamine and chondroitin do – so hyaluronic acid does help, but it doesn’t make miracles alone. That’s why I consider Baxyl too weak for a regular form of arthritis. One of the main things I didn’t like about this supplement is the fact that it doesn’t contain anything else. Now – I know it’s based on hyaluronic acid. But if it was associated with other ingredients – there were higher chances to be more effective. Even small doses of these ingredients would have made the difference, in my opinion. So for a product that only contains hyaluronic acid (even a different form) – I do think Baxyl isn’t worth the money. My Verdict – Is Baxyl Worth Buying? Short answer: Not really. It’s a great product for minor affections – especially because it doesn’t come as pills. If you have a minor joint problem (sprains, injuries) – a cream might be a better choice. Though I normally don’t recommend creams – if your pain isn’t chronic or caused by arthritis, a cream should be enough. So it’s up to you what you choose, but I personally wouldn’t recommend Baxyl – mostly of its high price. Glucosamine Sulfate Vs Glucosamine Hydrochloride – Which Is Better? Not satisfied, it didn’t help. I bought it from Amazon and I called customer service and told them I had some issues with it and they refunded me the whole amount, unbelievable. So really nice customer support, I was impressed. But this liquid was awful, it tastes like you’re eating oily water. I would only recommend it for customer service, otherwise the product was no good. Hello Neil, thanks for letting me know your opinion on Baxyl. I’m pretty surprised to hear they fully refunded you, I didn’t find anything about any money back guarantee. It’s probably because of Amazon, rather than the brand, so you were probably lucky. But it’s great news, for sure. You didn’t mention what problem you have and what’s causing your pain, but it’s probably something more serious. If you could give me some other details, maybe I could recommend something that works better.